I see differently. Can you see it too? In the world wide web I am usually called by Wanderer and or Shemahmforash and this is my personal website. I developed and created this website with the purpose to have a place where I can share my works and my imagination. This site tries to represent the multiplicity of my existence, so it speaks about everything, nothing and all the contradictions in between. I have a deggree in Computational Physics, but since 2010 I'm taking a master's course in Open Source Software. In the past I've worked as the leader of the Software Sector of SCHIU - Noise and Vibration Engineering, but since September of 2011 I'm working as a perl web developer in Optimus S.A. as an outsorcer from Prime It. Much of my time is spent reading and writing. Whenever I can, I also travel to different places. At night, I enjoy grabbing my telescope and observe the wonderful nightsky from a dark corner. 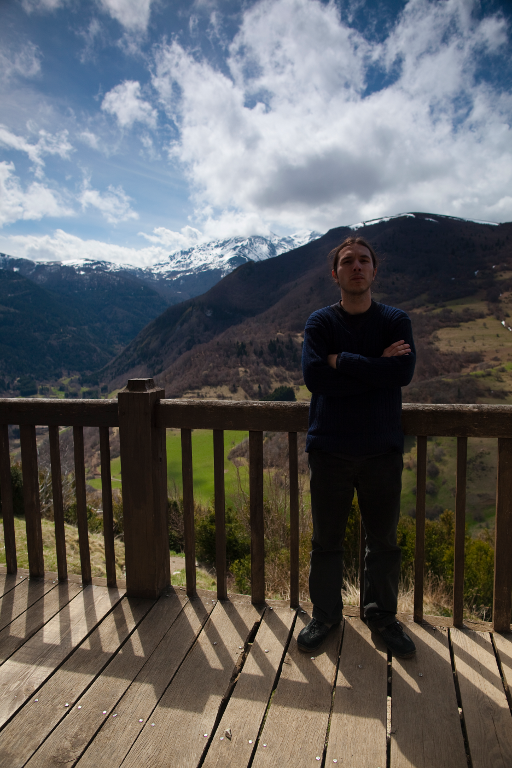 Note: At the right is a picture of me taken in March 2010 at the Montségur Castle (with the Pyrenees behind me) in the Pays Cathare (South of France). The photo was taken by Ruben Vicente.